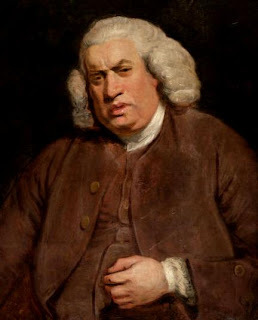 Browsing this morning—as I watched the news—through one of the books I've had for a long time: A Johnson Sampler, a collection of Samuel Johnson quotations published in 1963. I selected the following as I encountered them. All are on religious subjects but have no other connection apart from the fact that I like them.